Thanks! A lot bigger in person than in those pictures, gonna get better ones tomorrow and measure. 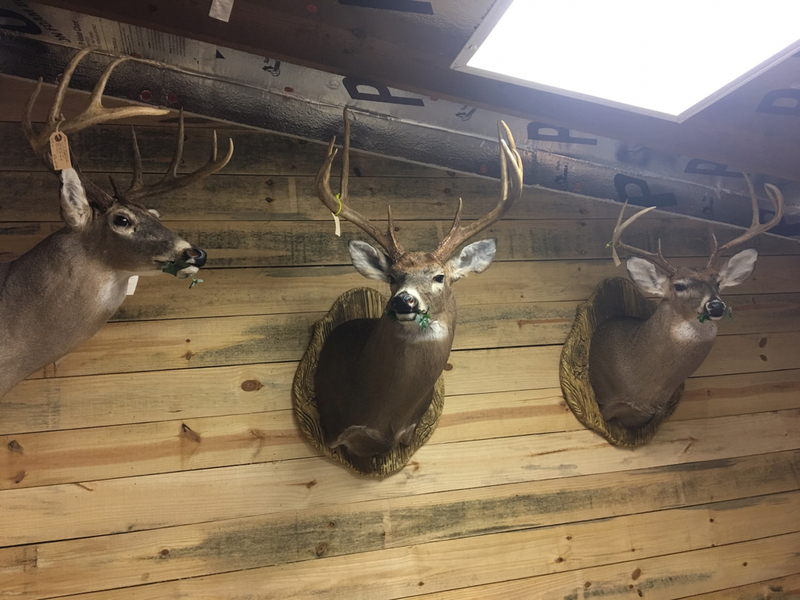 Jugtowm Taxidermy turns out some great looking mounts. 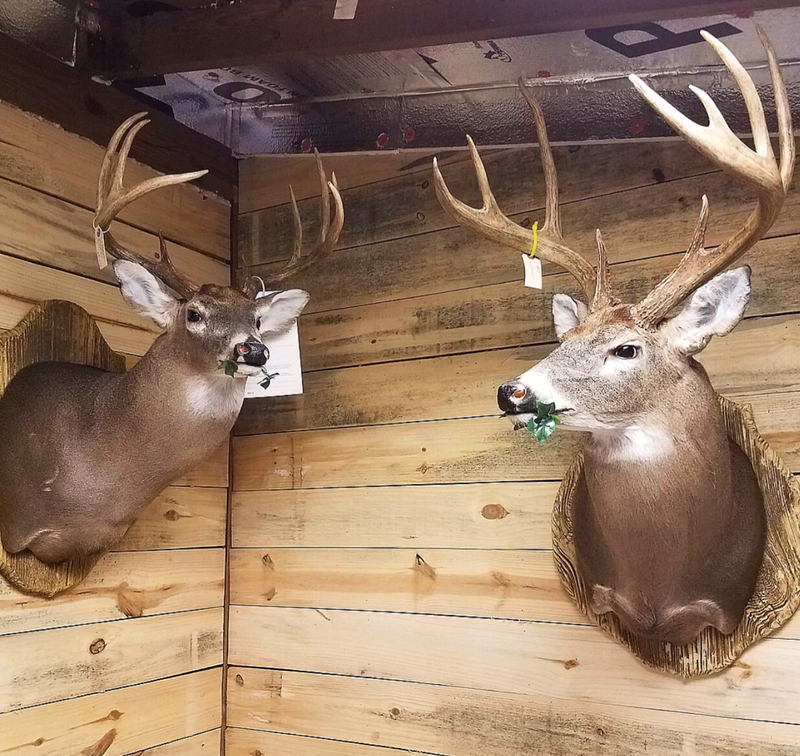 It's a special day when you get your deer mount back! Looks great. Congrats again! Look forward to seeing it at the DDC. 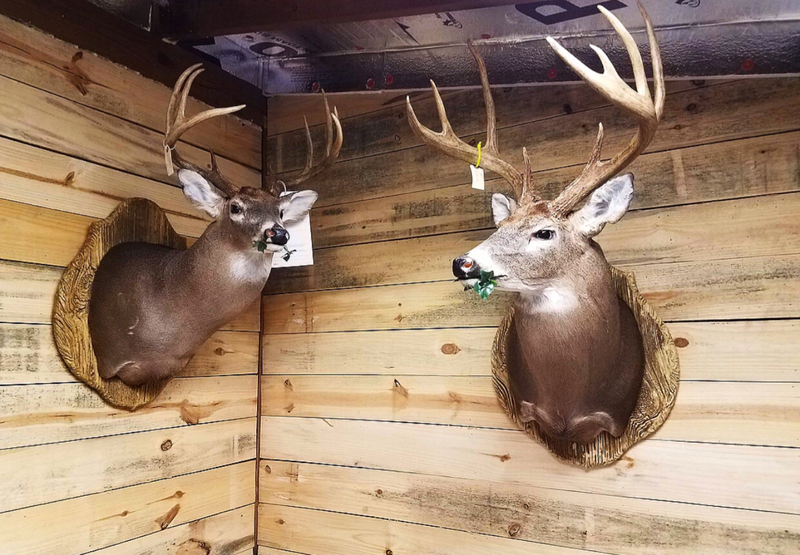 Great looking buck and a beautiful mount! Congratulations! 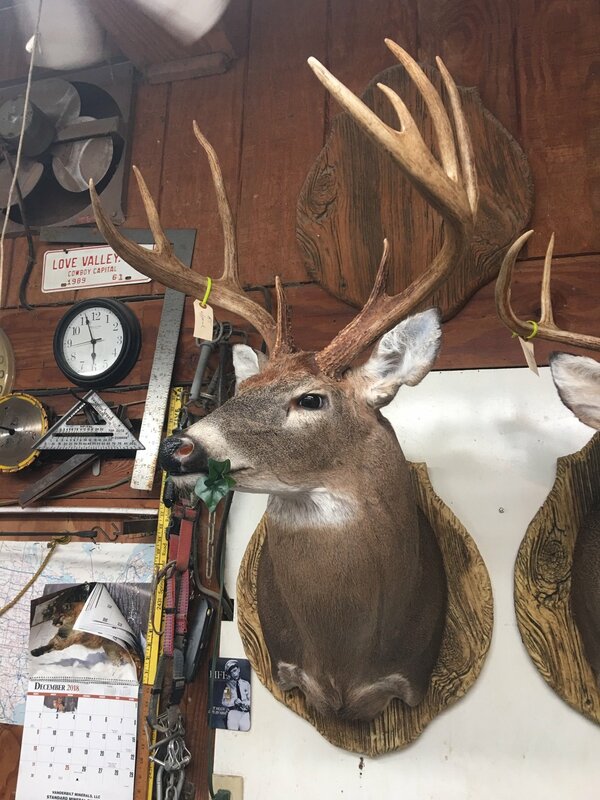 I was wondering...is the other mount in the pic the buck you killed last October? Hard to tell, but if my memory serves me correctly, it looks like it could be. 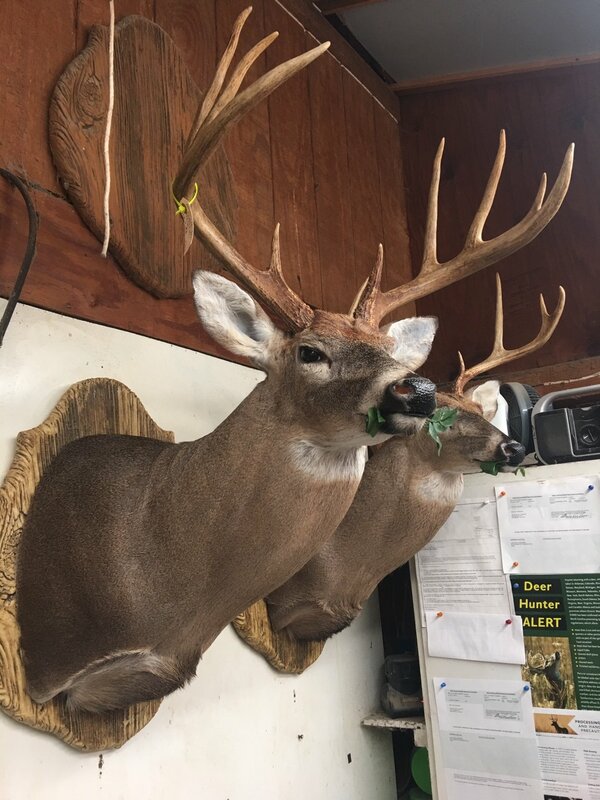 If it is, the difference between it and The Big 9 in these pics really helps prove just how big a deer the 9 really is. 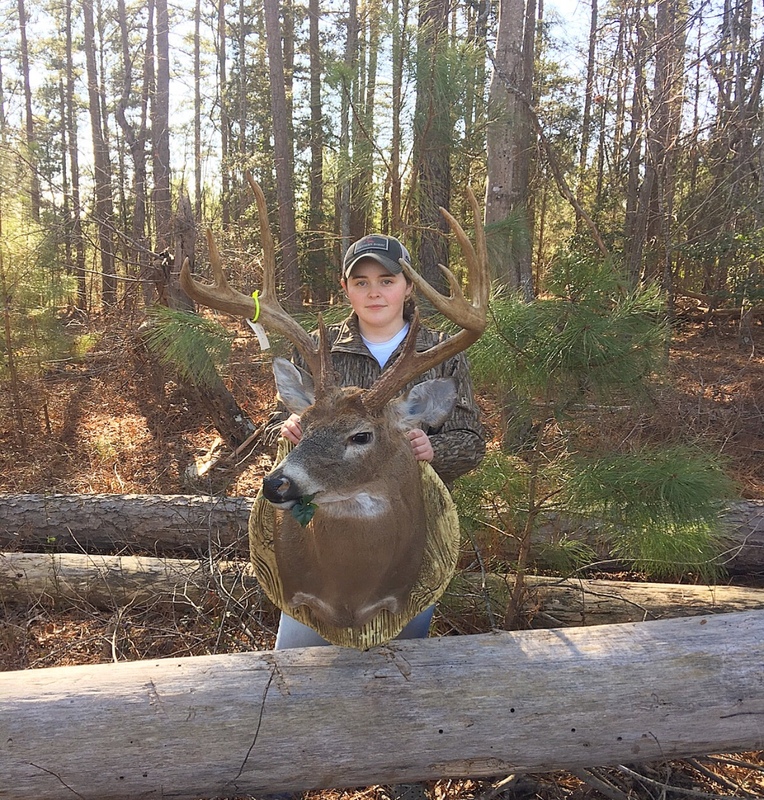 As I recall, the October buck you killed was a pretty good deer too....but if that is indeed him in these pics......The Big 9 dwarfs him! You're joking right? Deer is bigger than that Helium. 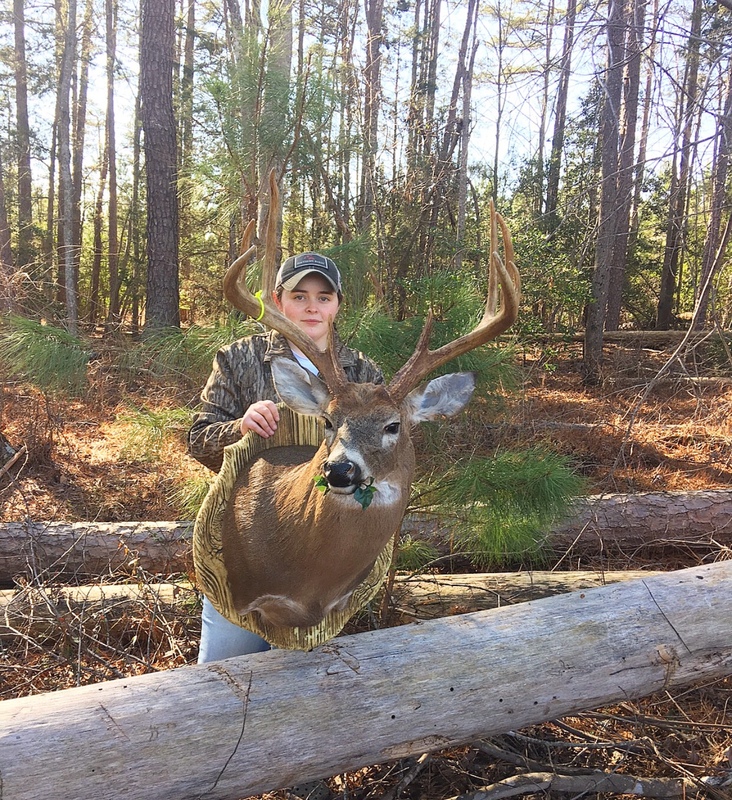 Carolina Sportsman says 150" in the pic. Regardless, YOU GO GIRL!!!! NICE!!!! Yep! That is him, makes him look like a real mini lol but he even makes my 10 point from 2014 look small. My 10 points rack could fit inside his it’s crazy! Will be hard to ever out do that buck. YEP!!! I think so too. He is a beast. So that is the "October" buck then. Cool! And yes....The Big 9 is the boss for sure.....but all three are "trophies" in my opinion, because each has its own unique memories and reasons why it's special to you. It's kinda fun to see them all together like that......a great looking "wall of memories" you've got there....well done! I don't even know you, but I'm as proud of you as I can be! Congrats!